I didn’t really realize it until now but apparently, I’m a bit of a Goldilocks when it comes to pillows. In the past few year’s I’ve bought a lot of pillows. I also swap between them all the time trying to get the perfect sleep. Then one day I got a Casper Pillow and my search for the best pillow was over! Pillow Problem #1 What Type of Sleeper Are You? My first problem is that I don’t really have a sleep type or a comfortable position that I sleep in. Some people sleep on their backs, some on their side and others on their stomachs. Me I do all three. How can you find a pillow that works in every sleep position? Pillow Problem #2 What is the perfect firmness? In the pile of pillows that I have I bought pillows in every range of firmness. Some medium, some soft, and then I got into special cooling pillows with memory foam and the partially gel filled ones too. No matter which pillow I bought after a few nights sleep I realized this one is just not right. I sleep in hotels all the time and I think what’s this pillow this one is nice. At home I could never get it right. 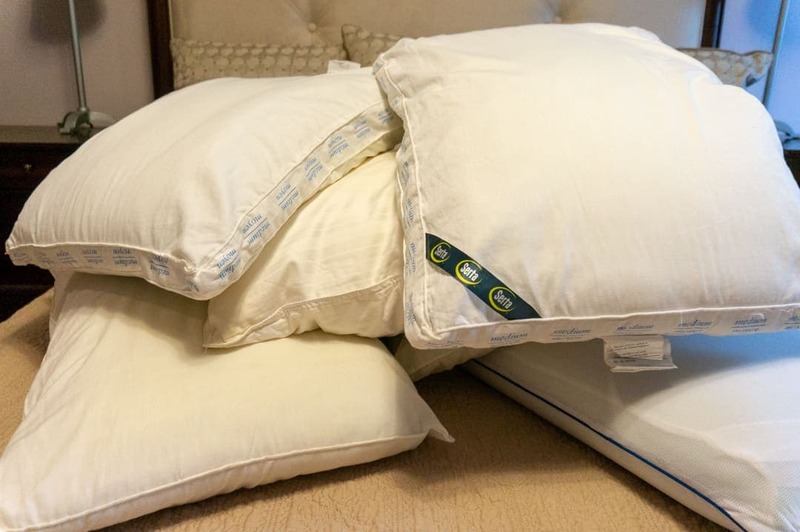 Pillow Problem #3 What’s the Perfect Pillow Filling? So which is better right? Feather filled pillows sometime poked me. Foam pillows felt to hard and actually hurt my neck, contoured pillows were weird and only work if I’m sleeping on my back. The special cooling, gel magic pillows. Nope not magic at all. Except making money in my wallet disappear. Because it was made to be both soft and supportive the pillow works no matter what type of sleeper you are. When they were explaining it to me I think my eyes glazed over. How can a pillow be soft and supportive? 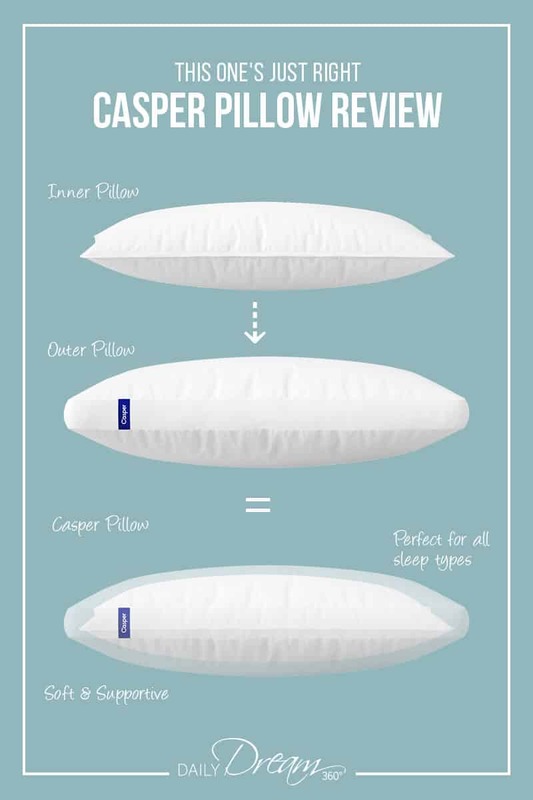 The fact is the Casper Pillow is actually two pillows in one. The inner pillow is a supportive pillow which is placed inside the outer pillow which is soft and fluffy. 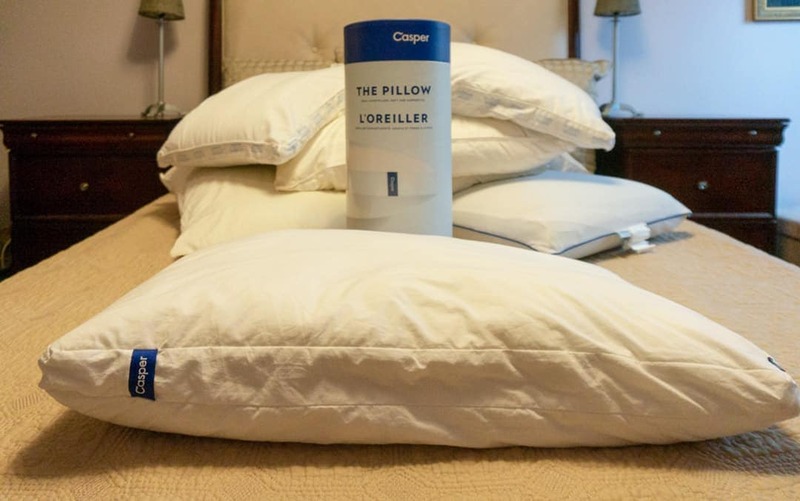 The best part about the pillow is it is filled with coated fibers. So every once in a while a little fluff and patting of the pillow and it magically restores itself to the perfect shape. 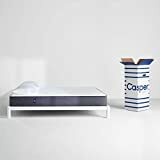 The Casper Pillow is also machine washable you can just throw it in the wash and give it a fluff when it is all clean. Unzip the outer pillow and remove the inner pillow. After separating the two pillows, zip up the outer pillow and machine wash both layers in a gentle cycle using a mild detergent. You may want to run the pillows through the rinse cycle twice to remove all detergent. Tumble dry the pillows on low until completely dry. 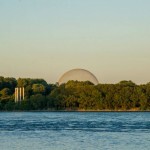 Reinsert the inner pillow into the outer one. Fluff the pillow, and you are good to go! 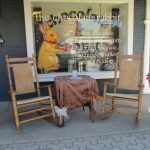 For more information on Casper and the Casper Pillow visit their website. I brought home my big tube and pulled out the Casper pillow and thought really; this little soft pillow is going to provide me with a good nights sleep? My first night I slept 9 hours and barely moved all night long. This is the Fitbit report of my first sleep with Casper. 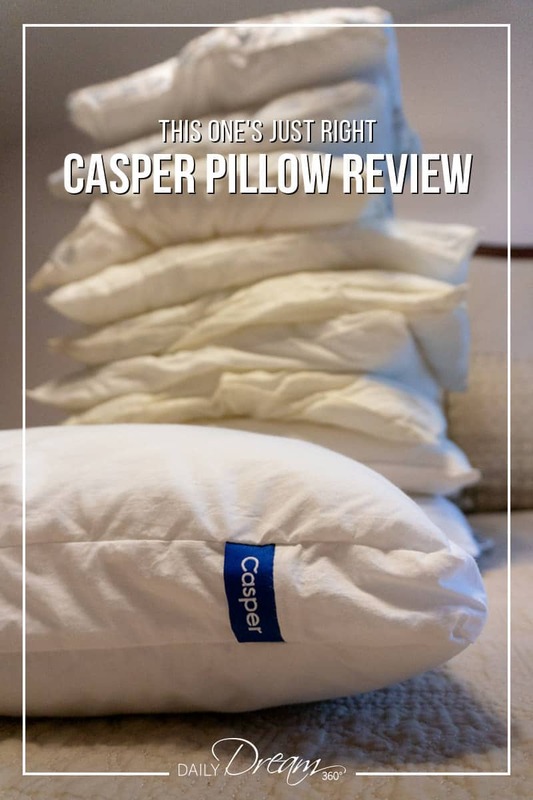 My Casper Pillow review results! I’ve had my pillow for 6 months now and it still looks like the day I pulled it out of the canister. I fluff it up when I make my bed every day and it has been my go-to pillow since – no more swapping old pillows. 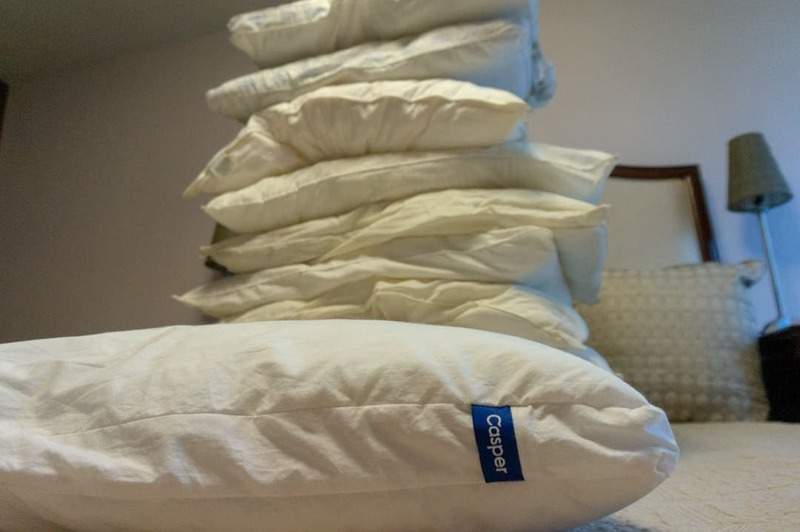 In fact, I decided to write this post because I’m confident that I can get rid of all these pillows now and be a Casper Pillow girl from now on. Now that I found the perfect pillow…I guess I have to start looking for a new mattress! Wish me luck! Disclosure: I received 1 Standard Casper Pillow to review. 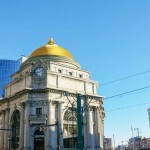 The opinions in this post are my own.